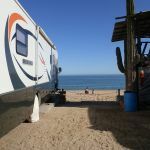 Ask fellow campers about "KiKi's RV Camping Hotel" and nearby attractions. 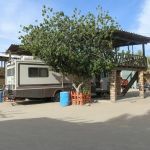 Nice RV park with expected amenities considering this is Mexico. Popular with many. Not crowded but did have the largest number of guests in local RV parks when I visited. Power has been great these 3 weeks. Water is good. Sewer works fine. No TV to speak of. Narrow sites but with the owners help, negotiated my 37' class A into my spot easily enough. Flat enough I haven't put down my jacks yet. Back in sites on the ocean already full but there are several other RV parks nearby that had openings. No TP in bathroom. Bad WiFi...cut out many times per day sometimes even losing the broadcast SSID while nearby parks kept theirs, sometimes dropping out for over an hour. When working, OK for FB and email. More of a haven for gringo and canuk snowbirds then a touristy area. Very quiet here 1 mile (1.4 KM) from downtown. We camped at KiKi's RV Camping Hotel in a Motorhome. Taxi to downtown or grocery store $40 peso ($2.35 USD). There's even a casino in town. Several sports bars downtown to watch games at. Plenty of restaurants. Many servers speak English. Beautiful deserted beaches with plenty of birds to watch. This year it's a little chilly and there's not a lot of tourists around this time of year generally anyway (December). Boat ride, fishing. 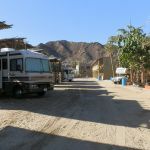 Are you affiliated with KiKi's RV Camping Hotel ?